DUBAI, UAE, 2018-Apr-30 — /Travel PR News/ — Dubai-based flydubai was recognised by His Highness Sheikh Ahmed bin Saeed Al Maktoum, Chairman of flydubai for the contribution and support it has given to the development of Dubai as a global hub for aviation. 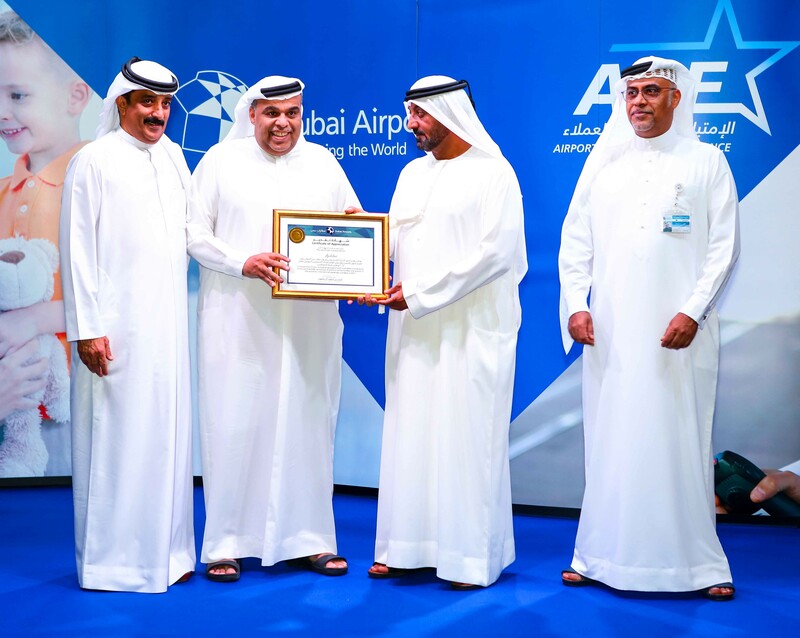 Hamad Obaidalla, Chief Commercial Officer at flydubai, received the award on behalf of the airline. This entry was posted in Airlines, Airports, Travel, Travel Awards, Travel Management, Travel Services, Travelers and tagged Arabian Travel Market, Aviation, Dubai, flydubai, Ghaith Al Ghaith, His Highness Sheikh Ahmed Bin Saeed Al Maktoum. Bookmark the permalink.